Get the tissues ready and prepare to gag on this sickening parental eleganza, hunties. 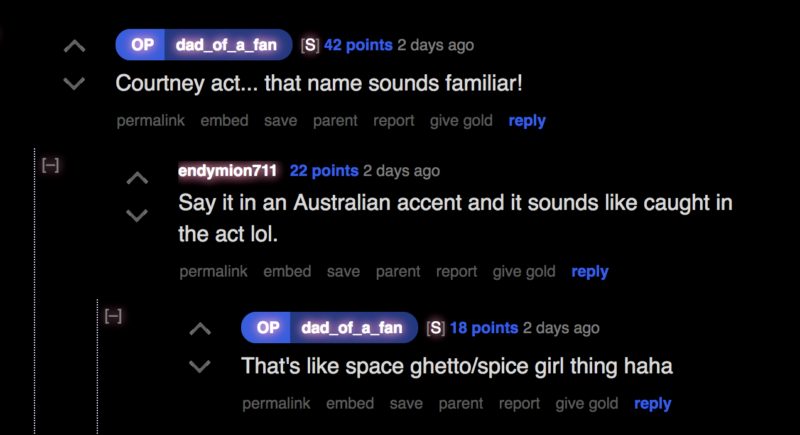 Reddit user dad_of_a_fan, who is a single father of two from Scotland, posted that his 15-year-old son had begun using some drag lingo around the house. Not fully understanding most of the terms from a simple Google search, he asked around the web for answers. Everyone loved this dad’s willingness to learn and embrace his son, and a drag lesson ensued. Okay, so I’m a single parent of two amazing boys (4-year-old and 15-year-old). My 15-year-old has a tough time at school, being shy and having a stutter. I was cleaning up his room while he was in the shower and this show (RuPaul’s Drag Race) was paused on Netflix. He has been using different kinds of phrases like “the shade” and “I’m gagging” (that one worried me at first). I googled the shade and found it was a drag term but I didn’t understand it. Is there any advice you can give me? I won’t embarrass him and start quoting the show but when he said he was “gagging” I had no idea how to react and I would like to know how to react. I was hoping I could get a crash course on this sort of chat. Any tips would be awesome and any stories or general advice would help. I’m sure he is gay too for other reasons. Besides obviously being the best dad ever, dad_of_a_fan took the time to respond to almost every single Reddit user that sent him a message. Many of the users opened up to him about the poor treatment they received from their own fathers and how his message touched them, to which he would reply with a heartwarming response. While it might have started out as a crash course on drag, at its core, it’s truly a lesson in being a good parent. Gagging (and quite possibly the sweetest thing to ever say about your child). And how to respond perfectly to it. The true pains of tucking. The very distinct difference between a Kiki and a Kai Kai. 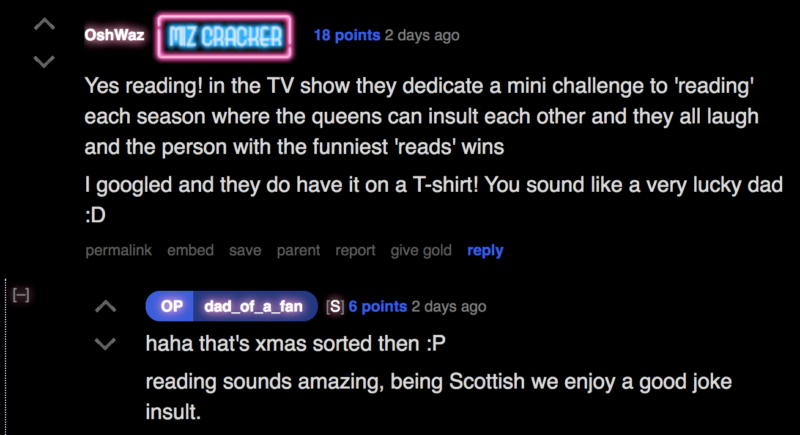 Reading is basically the same thing as being Scottish. Which he caught on to rather quick. He even learned the different types of drag. He learned the importance of a good drag name and the wordplay that comes along with one. And he taught us all about this Scottish wonder. 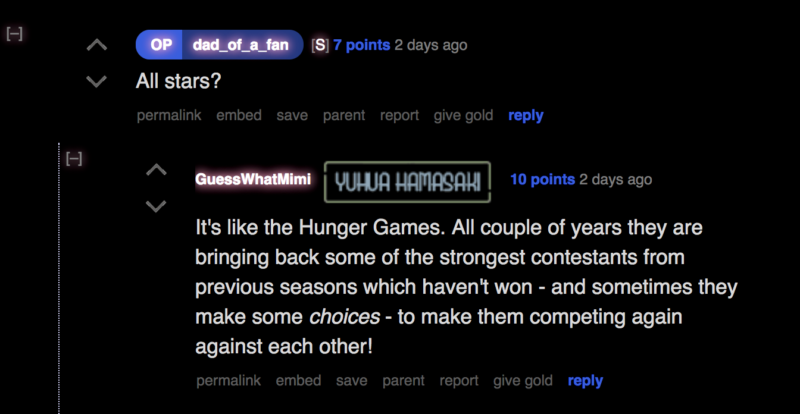 He’s even caught up on the Tyra drama. Something he needs to do immediately, and film. He’s pretty much a drag superstar now. 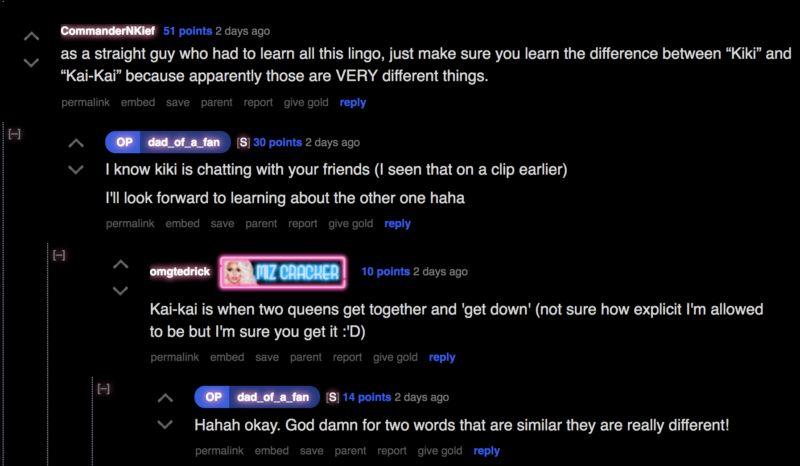 What’s your favorite bit of drag lingo? Let us know in the comments!